Twenty-five years ago this week, Hurricane Bob swept through New England, leaving six dead in Connecticut and causing $680 million in damage in Massachusetts, Connecticut, and Rhode Island. Southeastern Massachusetts and Rhode Island were hit hardest by the Category 2 storm, said the National Weather Service office in Taunton. At times, sustained winds of 100 miles per hour were recorded, as well as gusts up to 125 miles per hour. Houses, boats, and beaches saw severe and, at times, irreparable damage in a marginal area of Buzzards Bay and parts of the Cape. 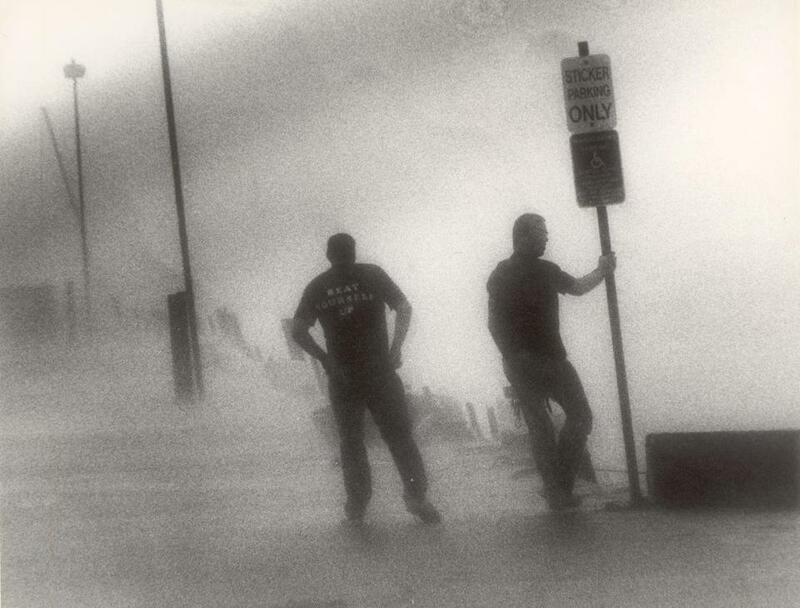 Two men watch the boats in the harbor as some come off their mooring and crash into the pier at Mattapoisett during Hurricane Bob.